Winchester Acres Homes for Sale | Louisville, Kentucky | Winchester Acres Real Estate | Louisville MLS | Joe Hayden Realtor - Your Real Estate Expert! View all Winchester Acres Homes for Sale on the Louisville MLS listings below. Winchester Acres real estate is located off of LaGrange Road and the Gene Snyder Freeway near Anchorage in Louisville, Kentucky. The subdivision of Winchester Acres was developed approximately 10 years ago by a variety of spec and custom home builders in a convenient Jefferson County location. The neighborhood features modern home designs on tree-lined streets, all designed to appeal to residents and home buyers alike to help keep the neighborhood vibrant and active. In addition, the neighborhood is positioned in one of the best locations available for access to local amenities such as shopping and restaurants, plus convenience to downtown Louisville for work and play. When searching the MLS system, give consideration to a new Winchester Acres home. Homes for sale in Winchester Acres range in price from $215,000 to over $290,000. Most of the home in the subdivision are constructed of brick materials, though a few of the homes also utilize vinyl or wood siding in addition to brick. This gives homes in the Winchester Acres subdivision a characteristic look that is timeless, architecturally appealing, and helps to ensure that home buyers appreciate the quality of construction in the neighborhood. Most of the homes in the subdivision also feature full basements that many residents have finished to provide additional living and recreation space in the home. In addition, many of the homes include a very open floor plan that is common in modern home designs, allowing extra space for entertaining, space to move around, and room for family and friends to relax without feeling closed in by the home. Living in the Winchester Acres subdivision places you in a fantastic Louisville location. You are literally minutes from the heart of Anchorage, which adds great historical charm and attraction to the area. The Gene Snyder Freeway runs right past the subdivision, which means that you can travel the region for work and play with relative ease. Again, mere minutes away from Winchester Acres is shopping available at Kroger, excellent BBQ found at Jucy's, and the Eastpoint commercial and industrial development that features numerous beneficial establishments. In addition, the new Baptist East Hospital - Eastpoint is quickly available to residents of the neighborhood which adds the broad appeal. If you would like to live in a desirable Eastern Jefferson County location with great access to local amenities, you should give consideration to the Winchester Acres subdivision. 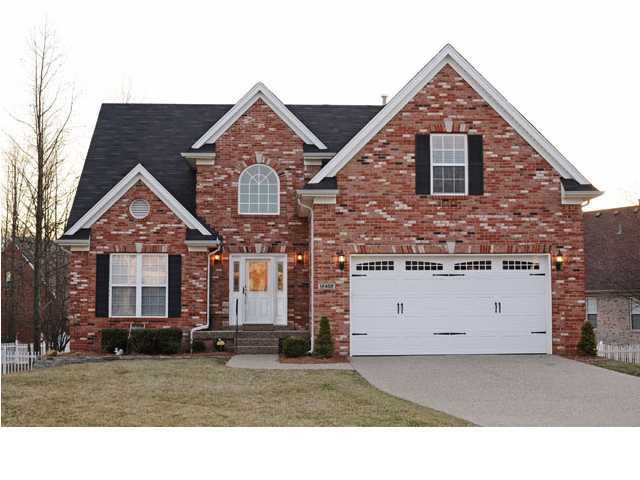 You can search the Louisville MLS listings below for all Homes for Sale in Winchester Acres.